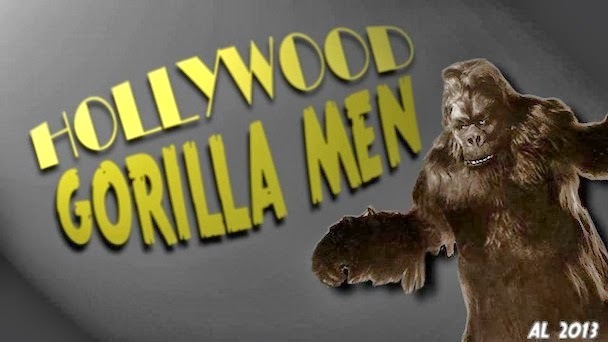 Hollywood Gorilla Men: Bonga Corrigans last hurrah ! Ray Corrigans fierce alter ego, Bonga ( short for N'Bonga), was the terror of the film and serial epics of the late 30's and early 40's. 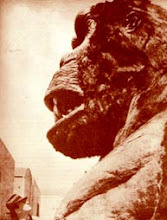 Bonga was the first gorilla suit that had been created specifically for Corrigan after having played one of the featured gorillas in Tarzan and His Mate. The suit Corrigan wore in the Tarzan picture was created by Max Factor, with the artistic elements created by William Persona. After having performed as a great ape, old Crash just knew he had to have a suit of his own. With his great size and athleticism, Corrigan was a true King of the jungle. 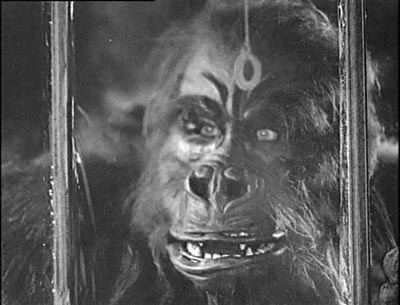 Fighting against Flash Gordon, and fighting side by side with Clyde Beatty in " Darkest Africa", Bonga had quite a diverse run as a cinematic simian. By 1940, Bonga had been through quite a bit of wear and tear, and it was starting to show . When "The Ape" starring Boris Karloff, was filmed in 1940, poor Bonga had come to the end of the line. In the close-up of the fierce escaped gorilla peering into mad doctor Karloffs lab, you can actually see Bonga's teeth showing through horizontal rips in the upper lip ! 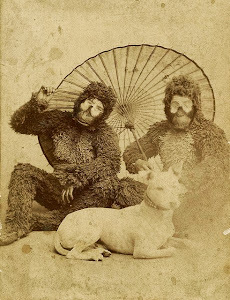 After filming "The Ape", Corrigan retired his old suit for good. He then had a new improved suit built that was even more frightening than the last. The new suit debuted in " the Strange Case of Doctor RX"as seen in Gorilla mans post below, and went onto Nabonga and countless other classics. 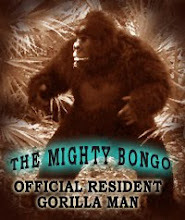 The new suit was named "N'Bongo ", and as you may suspect, was a huge influence on the name of my alter ego" The Mighty Bongo" !